The Guided Wave’s HPV analyzer is a simple turnkey solution that allows users to accurately measure concentrations of both hydrogen peroxide (H2O2) and water (H2O) present with a given vapor sample, as both H2O2 and H2O are codependent. This HPV analyzer operates in real time, thereby allowing users to confidently determine H2O2 and H2O concentrations during cycle development, as well as throughout the actual sterilization cycle in a continuous manner for documentation and validation purposes. 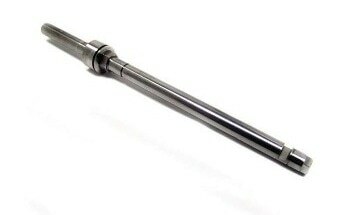 Unlike other chemical sensors, the HPV analyzer measures concentrations of both H2O2 and H2O present in the vapor phase under ambient or vacuum conditions. As compared to other analytical techniques that require the use of low pressure during sterilization processes to ensure complete penetration of product packaging, the HPV analyzer instead allows users to closely monitor these cycles in real time to ensure that an accurate and precise measurement of the concentrations of both H2O2 and H2O during each cycle. 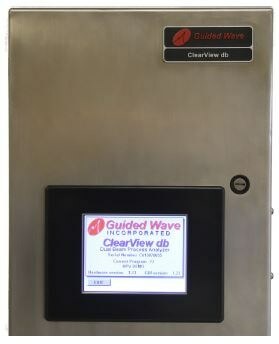 The HPV analyzer is equipped with Guided Wave’s multi-wavelength ClearView db filter photometer analyzer platform that has successfully allowed users to measure H2O2 and H2O concentrations present within various vapor mixtures for over 20 years through the use of near-infrared (NIR) and fiber optic-coupled analyzers. The optimal wavelengths for both H2O2 and H2O were selected to produce a simple, rugged, and reliable analyzer that has been specifically designed for this purpose. In fact, the newly developed design of the HPV analyzer is equipped with fixed wavelength filter technology, as well as a dual beam design to ensure the utmost stability and accuracy during operation. 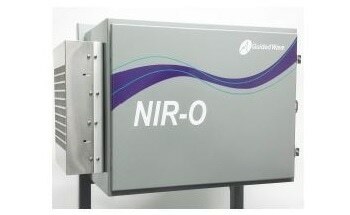 Fiber optic cables provide the NIR light energy to the probe in the isolator, which then returns the non-absorbed light energy back to the analyzer to provide the optical equivalent of vapor sampling. The HPV analyzer is capable of measuring H2O2 and H2O concentrations as low as 0.1 mg/L and 1.0 mg/L, respectively. The HPV analyzer can be easily controlled using its touch screen, or remotely when connected to Ethernet (Modbus TCP/IP). All required analytical calculations are encoded in the software. The complete HPV analyzer system consists of a pre-calibrated HPV analyzer, one or two G-SST probes and a pair of fiber optic cables for each probe. By eliminating the need for the user to program the HPV analyzer, easy start-up occurs by simply connecting the probe or probes using fiber optic cables, taking a ZERO reading in the dehumidified isolator and subsequently beginning measurements of H2O2 and H2O. 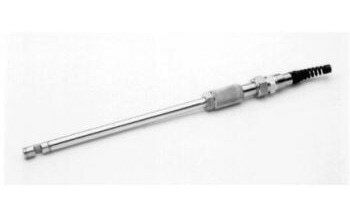 When performance validation is required, the G-SST probe is equipped with an optional and highly recommended built-in validation filter that is comprised of polymeric material. 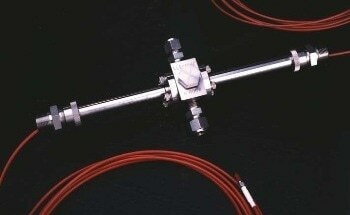 By utilizing this probe, validation of system performance is made easy as a result of the spectral characteristics the probe utilizes at wavelengths in order to measure H2O2 and H2O concentrations. In addition, the G-SST was specifically chosen for its impressive insensitivity to moisture and other unwanted temperature conditions. 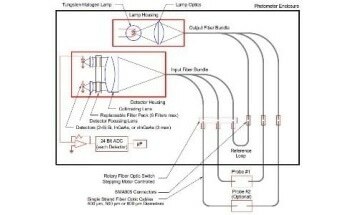 When performing a validation measurement, the validation filter is temporarily moved into the light path, thereby allowing for the optical characteristics of the system to be checked. 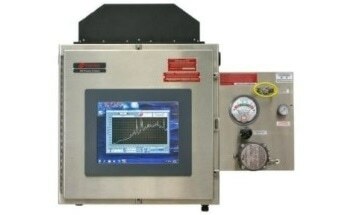 The HPV analyzer, which will typically be housed in a stainless-steel enclosure, is applicable for use in medical, pharmaceutical and food industries. Note that other enclosure options, such as, painted carbon steel, explosion-proof or purged materials, can be made available according to the specific area classification requirements. Guided Wave’s HPV analyzer system is a proven tool capable of providing users with highly accurate and real-time measurements on the concentrations of both H2O2 and H2O present within vapor phases. The long-term stability which eliminates the need for any maintenance requirements makes the HPV analyzer a particularly cost effective and smart choice that can optimize production within its given application, as well as ultimately ensuring product quality and enhancing profitability.